Is a steel toe required? 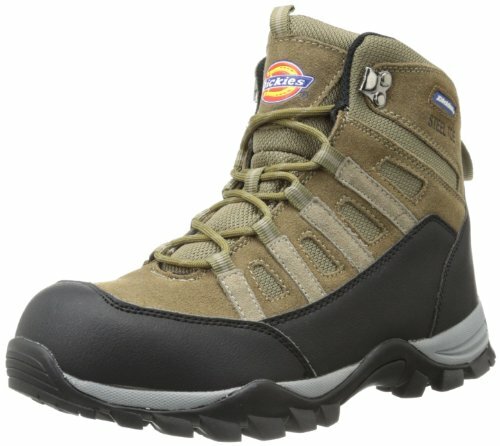 What type of work is a composite toe boot suited for? What socks are better in hot weather conditions? How do I find the perfect summer boots for my requirements? What are the different heights of work boots? Between boots with laces or without laces, which one is preferred? What’s the best way to clean boots? What is the purpose of a steel shank? Do all footwear companies test safety footwear to the same standards? Switching over your wardrobe for a new season can be a big task. When it comes to selecting the right footwear for the season, we generally know which pair of shoes to grab. With work boots, it should be no different! Finding the right boots for cold months tends to be easier, since insulation is the primary concern. But it is just as important to find summer work boots that keep your feet comfortable and cool in warmer temperatures. To help you with the process of selecting the best summer work boots, we have ranked our top picks based on several criteria, including features, comfort and breathability. These boots are made for hard-working professionals who want to have extra comfort, durability and protection when they are at work. The Timberland Pro series have unbeatable safety features that meet industry standards and provide maximum comfort. 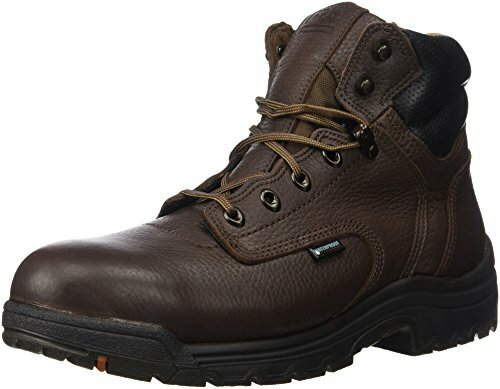 This is the most comfortable work boot for any location where you constantly have the hazard of getting wet. Polyurethane midsole that adds cushioning and durability. The Thorogood boots are known for good craftmanship and they help you to work in any type of weather from sunny to humid. 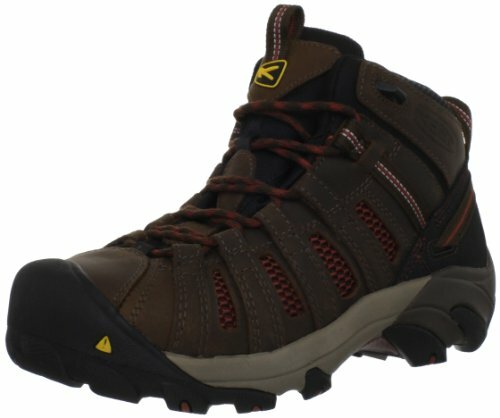 KEEN work boots are good looking and comfortable. Its breathable mesh lining keeps your feet cool while the outside looks like a hiker. The KEEN Detroit looks like a hiking boot but is a very popular and sturdy word boot. The Dickies Escape stay comfortable on long and tiring days. 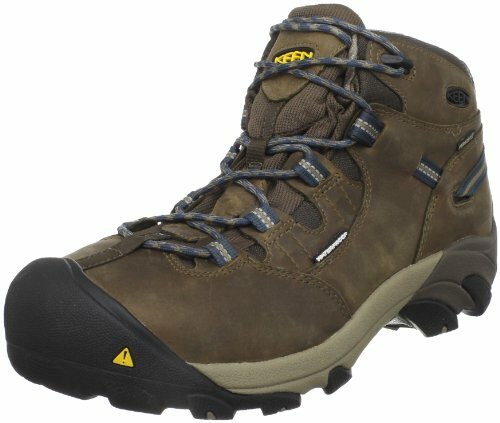 They look like hikers but still have the protection of a steel to work boot with value pricing. The protection you need from work boots is no different in the summer, but if you are working for hours in the hot sun, you also have to take special features into consideration. How well summer boots breath, wick sweat, repel water, and weight you down all matter if you are going to stay comfortable. Safety toes built into the front of the boot protect the toes from pressure, weight, and impact. They can be made of steel, composites, or aluminum toe boots. Steel toes are heavier but cheaper, whereas composite toes are made from plastic or fiber material and to be lighter and more expensive, but just as strong. Since they are non-metallic, they can be worn through metal detectors. Aluminum toes are lighter than the steel toes. If there is any chance of stepping on wet, smooth, or oily surfaces, then an oil- and slip-resistant sole will provide better traction and protect you from falling. The most commonly used material in the construction of work boots is either leather or synthetic welt. This is attached in between upper and lower sole, making them highly durable and rugged. However, there are boots with a mold attached to the upper part filled with rubber, which hardens the sole. These work boots are more lightweight, comfortable and shock absorbent. Fabric or mesh are more common in summer boots since the mesh is more breathable and allows moisture to escape. When working in a wet environment or in the rain, waterproof boots can be a real benefit. However, waterproofing can also make boots less breathable. Waterproof boots can be submerged in water without the moisture penetrating the exterior whereas a water resistant boot will only be good at shedding rain or splashes. 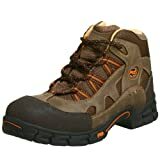 We have a separate page dedicated to waterproof work boots. You can also spend some time to make your boots more waterproof. Insulation is a good thing if you want a great pair of winter work boots but would be uncomfortably hot in a good summer work boot. Often, people do not consider the weight of work boots and focus on other features like comfort, lacing system, insole, outsole, color, etc. Heavy work boots are not comfortable if you are traveling a lot or spending long days in your boots. Lightweight is preferable if you are very active while you work. It is important to consider how durable a boot is. Manufacturers may claim durability but reading online reviews is the best way to know for sure whether boots continue to perform over time. In general, more expensive, well-made boots last longer than cheaper boots and will be rated higher. Paying more for a more durable boot may end up cheaper in the long run! Most boots are built with comfort in mind and have insoles, padding, and lining designed to fit well right away. Be sure to check the reviews for any complains about break-in period or sizing if your feet are not a popular size or the standard width. 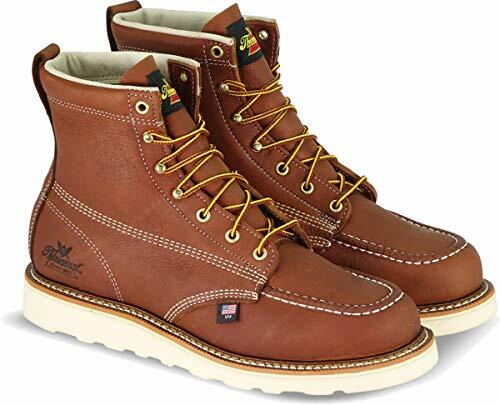 Besides all the features of good summer work boots that are mentioned above, the last thing to consider is brand name. People trust brand names that are established, popular, and proven over time. The brands listed on bootratings.com and the models reviewed are all popular and well-rated options. Saving a little money by buying off-brand boots could be disappointing if they are not as comfortable or durable as you need for your work. Many people would rather not wear any shoes at all in the summer. Since wearing protective boots is still necessary in many cases, you want to be sure to avoid any possible issues that they can cause. Here are some of the most common problems you can have with your feet in boots and how to prevent them. Blisters are caused by the continuous rubbing of your feet against your shoes. You can avoid this issue by wearing comfortable footwear that fits well and does move independently of your foot. It’s also important to give your feet a rest from your shoes whenever you can. It’s good manners to trim your nails but if they are so long that they bump the inside of your shoes, you can have bigger problems. Keep them short to help you avoid any unwanted pain when you are wearing your work boots. The problem of cracks in the heel area is not only a winter problem, but can also happen in the summer season when your feet sweat. It is recommended to wash you feet after a hot day and then moisturize to keep them soft. Sweaty or wet socks can lead to blisters and fungus. If your boots do get soaked through, you should not wear them until they are fully dried out. Always change into fresh socks and appropriate waterproof footwear, depending on the work environment. While working in hot and humid weather, there is a chance that outside water or foot sweat will lead to wet feet. The hot, wet environment in your boots can promote the growth of fungus. This is easy to prevent with appropriate socks and summer boots for the situation. One common foot ailment during summer months is athlete’s foot. It is a combination of a bacterial and a fungal infection, which often starts at the toes and gradually spreads to other parts of the foot. People whose feet stay wet for long hours are more susceptible to this foot ailment. Athlete’s foot is both painful and itchy so it is best to avoid it. Wear proper boots for the conditions and good socks to keep your feet free of moisture. When the temperature rises, it is natural to look for lightweight footwear like flip-flops or sandals. However, you should not forget that these shoes do not provide any support when you walk for long distances, which can lead to pain, rashes, and blisters that affect your comfort when it’s time to put on your boots. Take care of your feet in every situation so that you don’t have to deal with problems later. Sweat is natural during the hot temperatures of summer and some people sweat more than others. Working with thick socks in heavy duty boots will almost always lead to sweaty feet. To avoid some of the other issues on this list, it is important to follow a proper foot care regime. Wash your feet daily with soap and dry thoroughly. Give your feet some time in the evening with nothing on to relax and breath. The right boots for your working conditions is extremely important and we’ve covered some of the best summer work boots, the most common features, and the issues you can avoid by making the right choice. Here are some common questions about work boots and answers that may help. A steel toe cap in the toe box provides protection from impact, crushing, and penetration by something sharp. If there is any chance of something falling on your foot, they should be considered a necessity. Some employers require them. The composite toe works just like a steel toe but is made of a non-metallic and non-magnetic material. It is lighter in weight than a steel toe cap but still meets the same ANSI/ASTM safety requirements as a steel toe. A composite toe boot is best suited for walking long distances (because of the reduced weight) or for passing through metal detectors. Cotton socks are not recommended in the summer season, unlike cotton clothes that keep your body cool. The reason is that cotton absorbs the moisture and stays wet in your boots. 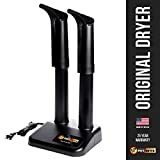 Any kind of sock that wicks away moisture should be worn in the summer. Synthetic fiber and wool socks wick the moisture away from feet and helps to keep them dry. To find the perfect boots, you must know where and how you will use them. The second important thing to consider is temperature. There are different work boots for summer and winter. Bootratings.com has recommendations for many different situations and environments. The height of work boots ranges from 5 inches to 12 inches. The most common height for boots is about 6 inch to 8 inches. Higher boots offer more protection for the legs from the elements. Work boots that have laces are considered to be the ideal because they fit better and can be adjusted to your feet and socks. A damp cloth can be used to wipe off the dust and dirt. After every wearing, they should be properly dried if wet. Leather boots require conditioning, polishing, and cleaning at regular intervals as to maintain the original look and feel. A steel shank is built into the area under the arch of the foot and gives additional stability to the middle portion of the boot. In the United States, all boots are tested to ASTM test method F2412-11. It is important that these boots pass the performance requirements of F2413-11 for safety toe and F2892-11 for the soft toe. Other countries have different standard requirements and test methods. Proper boots are a tool that is just as important as any other you may work with. It does not take long to have problems if you wear the wrong work boots for the job or the season. In the summer, adequate protection is required but you must also maximize comfort for the hot temperatures. With the information provided above, you should be able to find the features you need and avoid the possible issues that could happen with the wrong boots. The best summer work boots will protect your feet and keep you comfortable regardless of where you use them or what you do in them.